(SNN) - The Canada Border Services Agency (CBSA) has become the first organization to trial Smell-O-Vision technology, a new type of scent-emitting screen developed by a team of designers at Tokyo University of Agriculture and Technology. 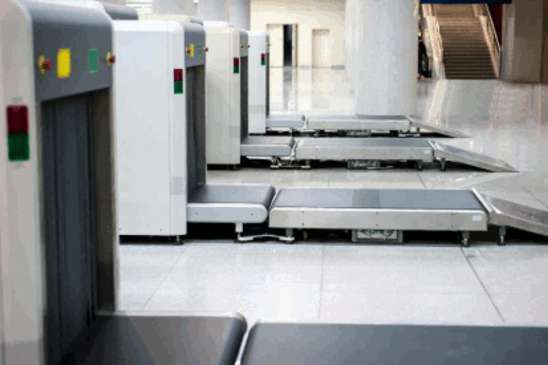 As part of a pilot project that ran during the month of March 2013, the CBSA retrofitted its X-ray equipment at Toronto-Pearson International Airport with powerful air streams and fans designed to emit the odour of objects displayed on screen. Results of the trial were promising, with only two border services officers requiring medical attention. Both were transported to the hospital after inadvertently smelling unwashed laundry that had been packed in a traveller’s bag after a three-week trip. The CBSA now intends to proceed with full deployment to all of its airport, mail and cargo processing locations across the country. Prior to implementation, officers will be required to undergo an intensive two-week training program, where they will learn to identify the smell of various restricted and prohibited items, including meats, fruits, vegetables, plants, alcohol, tobacco, contraband, illegal drugs and animals, both dead and alive.